Welcome to another success story by Ranieri Lava Stone in association with Dubai-based surface specialists, Surface Eleven. The restaurant comprises two levels, adorned by Ranieri Lava Stone bar tops: on the ground floor crudo and first-floor bars. Alici is located in the Bluewaters Island of Dubai and overlooks the scenic landscapes of this dynamic city including the famous ‘Dubai Eye’. The inspiration for Alici’s interiors comes from blue waters and bright moods; it’s a space bathed in neutral shades and heaps of natural light, blue tones, and white-washed wood. When you think of seafood, the scent of the sea life usually accompanies the taste of fresh catch. 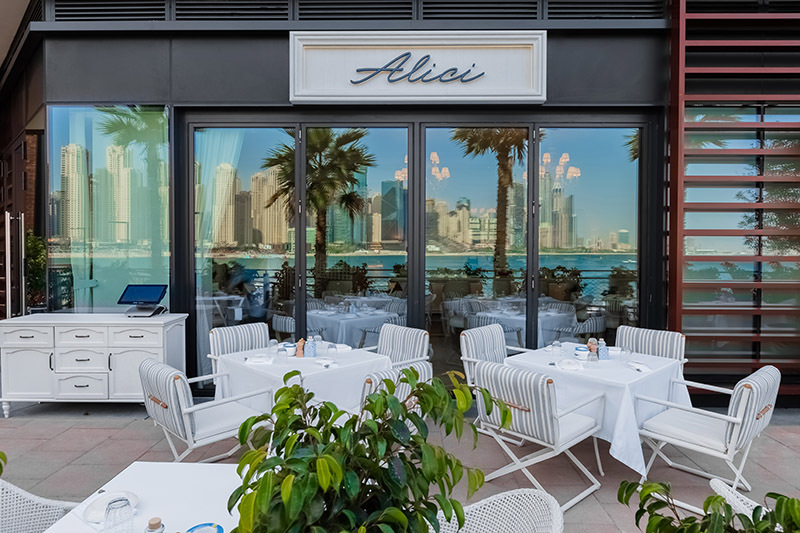 This is what the new seafood restaurant in Dubai, Alici, aimed for by matching the interiors with the colors of the Amalfi Coast, from which it takes inspiration. We would like to take you through the details of how the designer and client has interpreted this vision using Ranieri Lava Stone. The team of Ranieri Lava Stone worked closely with Dubai-based surface specialists, SURFACE ELEVEN, with the designer of this project, LW Design, and the end client, the owner of Alici. Our combined goal was to showcase the essence of Alici’s spirit by making the Ranieri Lava Stone bar tops and skirting one of the defining statements of the space. Ranieri lava stone has been placed on top of the Alici bar’s customized counter base made from glass fiber reinforced gypsum (GFRG). The way we innovated the design can be seen from our renderings. The production process involved many 3d shaped forms, such as corner details; with a process of carving and glazing dedicated to each selected lava stone slab, destined to be a part of every single piece of the bar counter. The bar tops have a total thickness of 85mm with an elegant and smooth edge profile detail. The skirting was carved out of solid blocks and is 3-dimensional in form. The lava stone was produced with a cristallo finish by using a 5-axis waterjet, where the glaze is applied before the crystalline layer. Because of its glassy element, the finish creates a stunning color variation that emphasizes the crackle effect and enhances the natural brightness of the rich sea blue color. 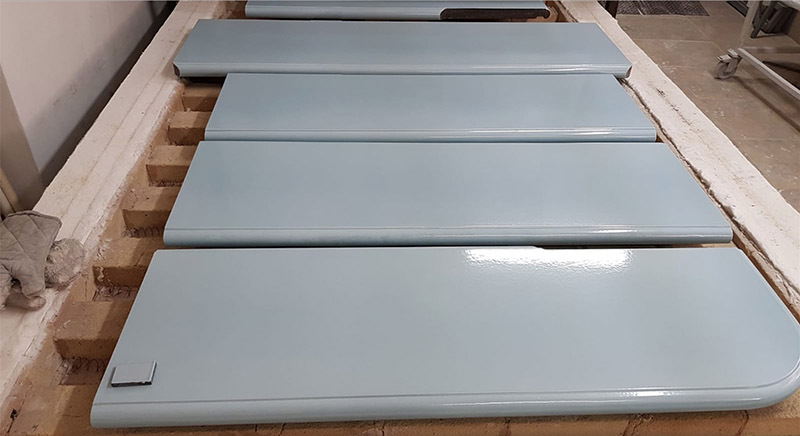 Even though Ranieri Lava Stone has a range of shades on offer, we customized a light blue color for the bar tops. The color was selected to support the client’s vision of customers experiencing an endless sea indoors. 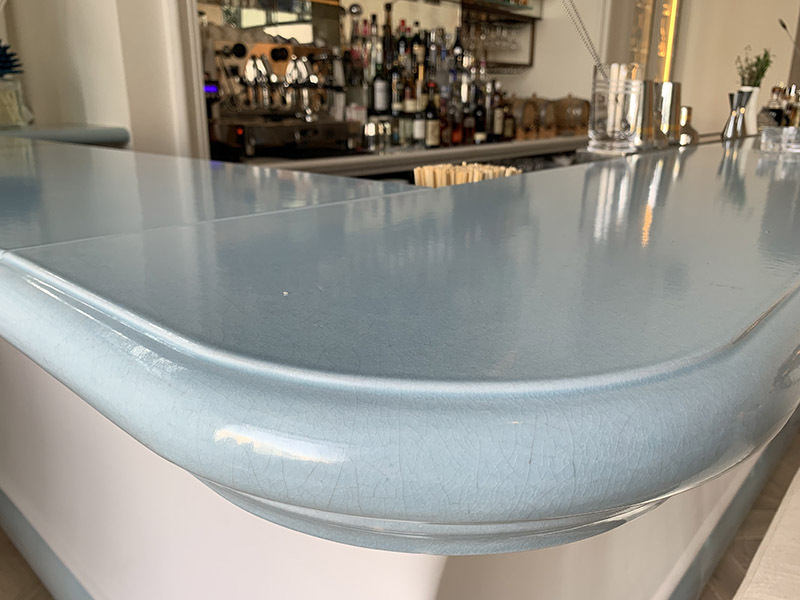 customized a light blue color for glazing the bar top, selected to support the client’s vision on customers experiencing the indoors as an endless sea. On your next trip to Dubai, dine at Alici and sip your drink served on the phenomenal Ranieri Lava Stone bar tops. And let the waves of the ocean come at you with perfect stillness! 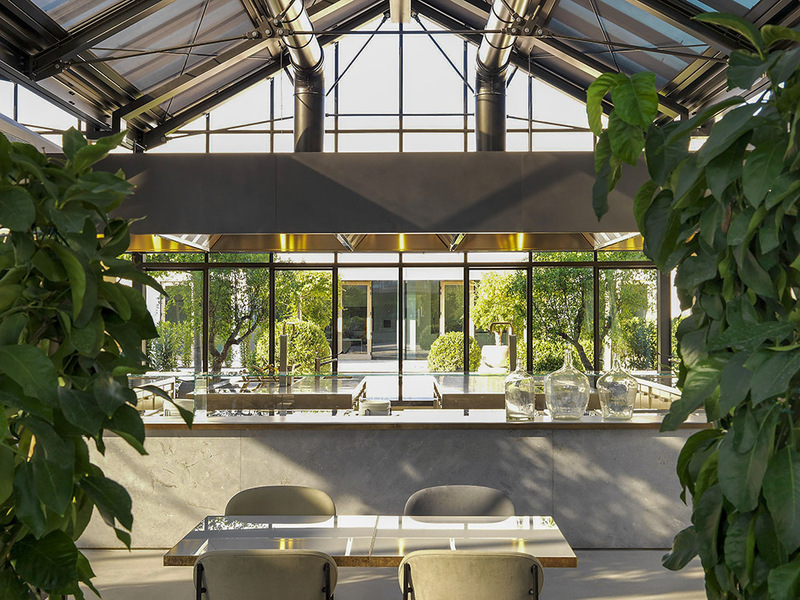 Sustainability, beauty, a sought-after style and well-being meld and express themselves in Davines Village through the whole design, the technical and building solutions implemented and the choice of materials mainly of natural origin. 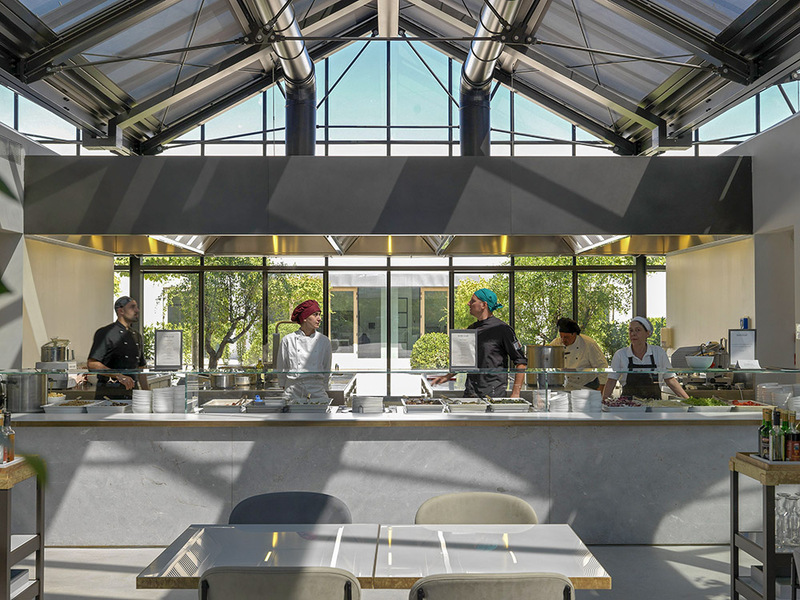 The restaurant area, located in the large central greenhouse, welcomes visitors with the glazed lava stone counter bar, in line with its guiding principle. Davines village, the factory-village designed by Matteo Thun and based on the key ideas of the cosmetic leading brand, namely beauty and sustainability, tasked us with the realization of the areas, in partnership with Molteni&C|Dada, who took care of the furniture for the large central greenhouse used as a restaurant and co-working space. 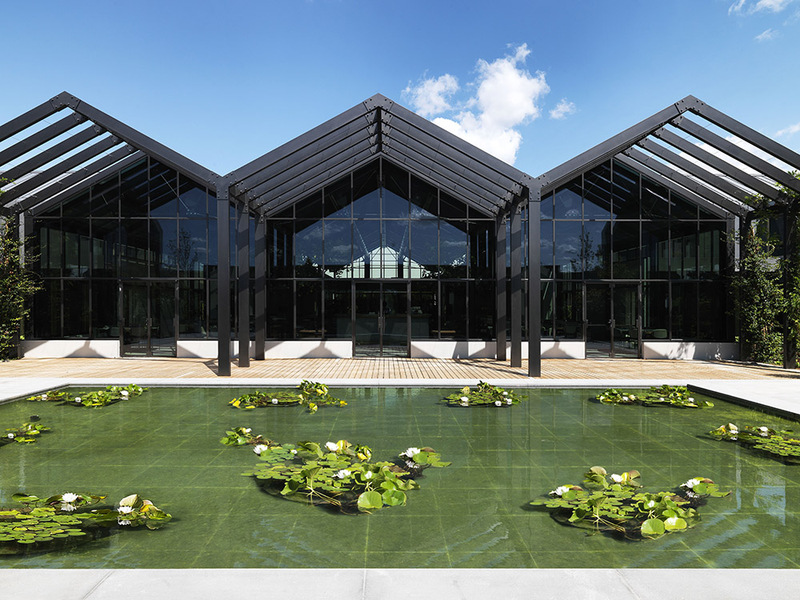 Our lava surfaces are situated in a big glass building, a bright “greenhouse-restaurant” that evokes the tradition of those rural houses with double-pitched roofs, recalling the architectural shape of a hut, locally well-established. The main materials used in this project are of natural origin: the natural durmast for the village “houses”, the zinc-titanium roofs, the glass used as a covering, which gives the surfaces and each workstation the best transparency thanks to the natural light coming through. The interiors also reinterpret the concept of workspace, by focusing on the ideal sustainability and beauty. The interior designer Monica Signani proposes an environment that is far from the classic corporate-like furniture, aiming at combining functionality and hospitality in order to make workspaces more intimate and cozy. From the cut to the finishes and glazing, every lava stone application we use is custom-tailored. 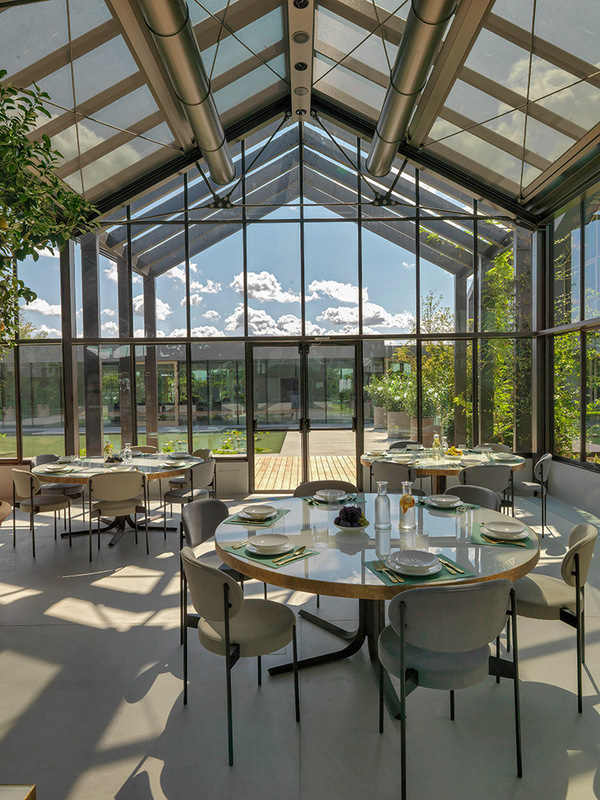 Our lava stone has been chosen amongst the natural materials for the interiors of the greenhouse-restaurant, core of the whole complex of the Davines Village. In partnership with Molteni & C|Dada, we realized glazed a custom-made lava stone covering the furniture of the corporate restaurant. 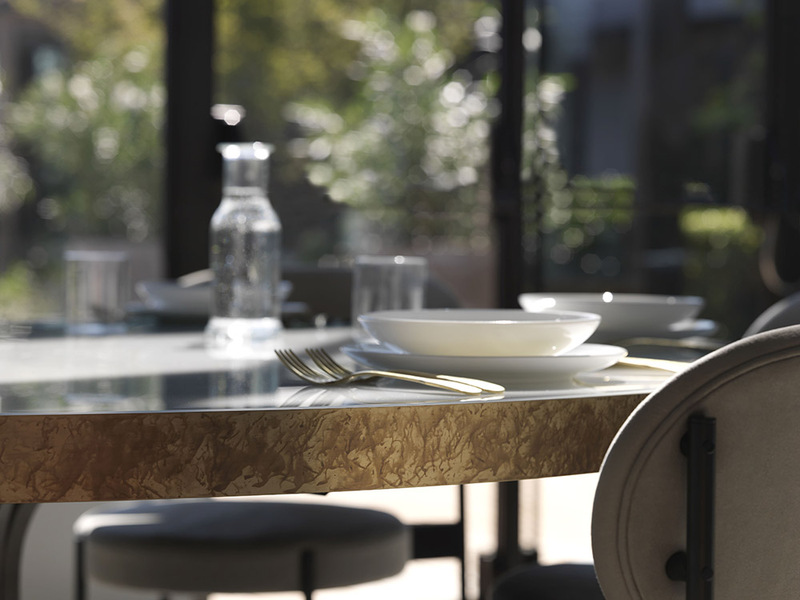 In the middle of the restaurant, guests meet around the vintage-style bar counter, inspired by the old bistros, and reinterpreted from a contemporary point of view through the glazed lava stone, chosen as an innovative, sustainable and uniquely beautiful material. 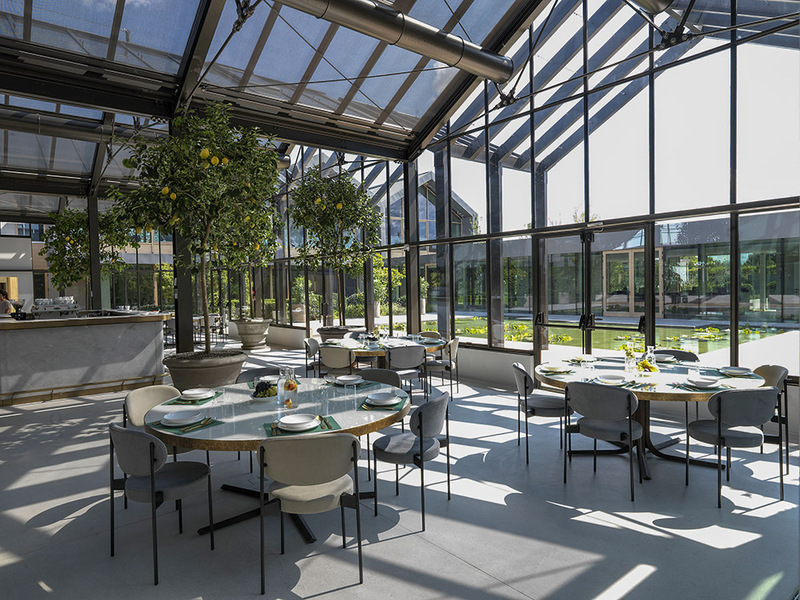 The restaurant is conceived along with the scientific vegetable garden, a real laboratory in the open, which, besides covering an educational role by showing visitors the natural ingredients in the cosmetic formulation, contains the cultivation of officinal and spicy plants, fruit trees and vegetables for experiments, demonstration and cooking purposes. The choice of lava stone for the top coverings meets this need of mainly using natural materials to design sustainable spaces that enhance beauty, functionality, and importance given to the person. The lava stone expresses its full potential here: it’s a natural 100% recyclable stone with a surface that can be decorated. The lava stone tops that cover the Restaurant in Davines Village have been custom-cut out of lava stone monoliths, for this specific project. From the cut to the finishes and glazing, everything is custom-tailored, custom-designed and custom-produced. The result is a unique, natural and environment-friendly product, durable thanks to the glazing process it has been subject to, and versatile thanks to the multiple techniques through which the enamels can be used for decorations. 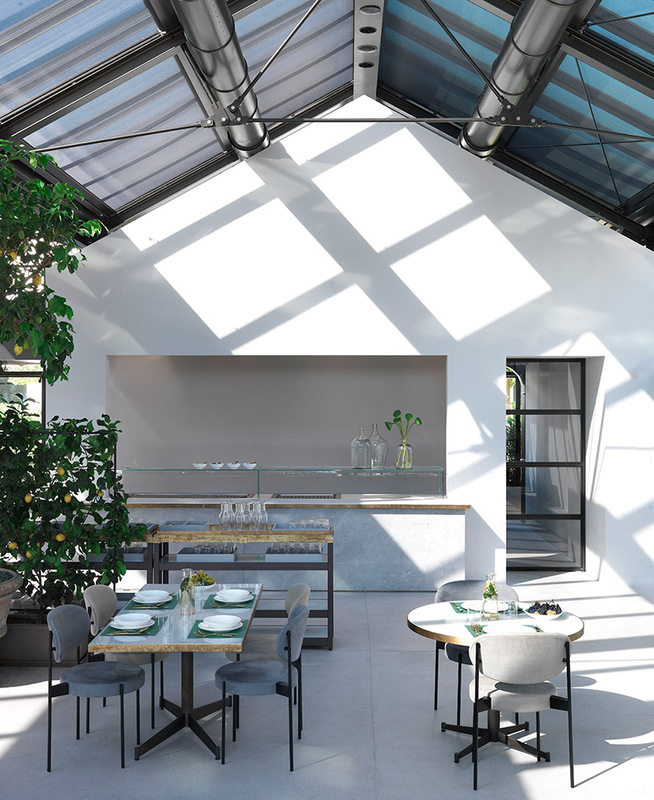 In the Davines project, the application of the Pure White glaze perfectly matches the design of bright spaces, completely in line with the outside. The glaze of the stone top increases the resistance of its surface. Super simple, essential and iconic, the guéridon table fully expresses the beauty of our lava stone. 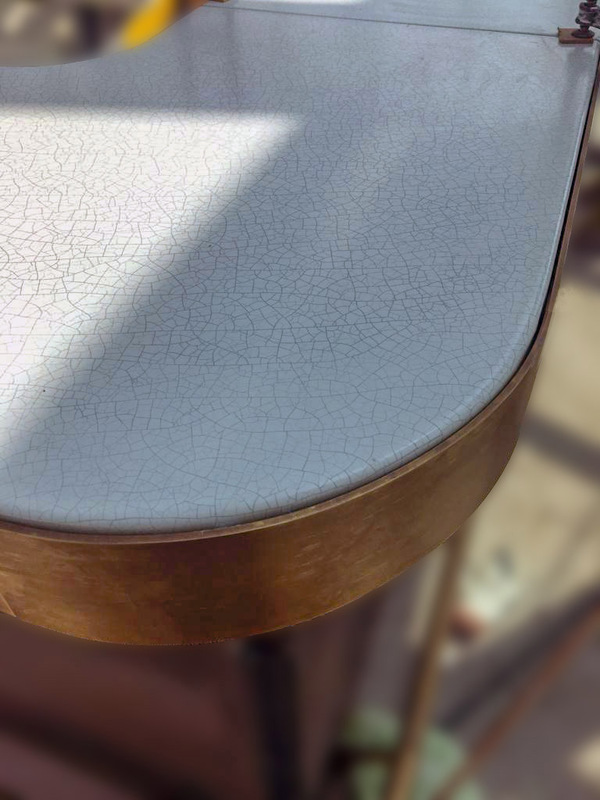 Even through the smallest detail, this piece of furniture enriches the decor project with its pure and elegant style. The Guéridon table in lava stone is designed to furnish in style any lounge area for hospitality and retail projects, reception rooms in offices or home living rooms. The Gueridon coffee table is part of the lava stone project designed by Charlotte Juillard. The lava stone is a raw material that the designer treats in a very peculiar way. She chooses essential geometric lines to enhance the colors of the glazed lava stone and the texture of the pure gray lava stone. She does the same with this coffee table, which is also a tribute to the French Guéridon table: the traditional Guéridon from 18th century is characterized by tangled curved columns and a round top, which makes it a finely decorated piece of furniture. The lava stone Guéridon honours such tradition by overturning its canons in order to highlight colors and geometries. Two semi columns in gray raw lava stone work as a load-bearing base, but it’s the round top the real ornamental element, thanks to the range of glazes and effects that can be used on the lava stone surface. Both glazed and pure gray lava stone are put together in a perfect balance that emphasizes the beauty and the decorative versatility of the lava stone. This small table is a custom-made product like the other applications realized by Ranieri. This small table is a custom product, designed and made to measure, like the other applications realized by Ranieri. Its pure lava stone finishes can be customized and shaped without any additional treatments; however specific finishes can be added to change the gray texture of the stone without altering its colors and natural design. The top can also be colored by using the ever-changing palette of enamels and effects. In the examples shown, we have applied a pale pink glaze and a sapphire blue one. Extremely simple, essential and iconic, the Guéridon coffee table fully expresses the beauty of our lava stone. Even through the smallest detail, this piece of furniture enriches the decor project with its pure and elegant style. The Guéridon table in lava stone is designed to furnish in style any lounge area for hospitality and retail projects, reception rooms in offices or home living rooms. The daybed is the perfect piece of furniture for introducing the minimalist elegance of the gray volcanic stone. Therefore, the idea of a solid lava stone daybed has made us enthusiastic from the beginning to collaborate with the French designer Charlotte Juillard. 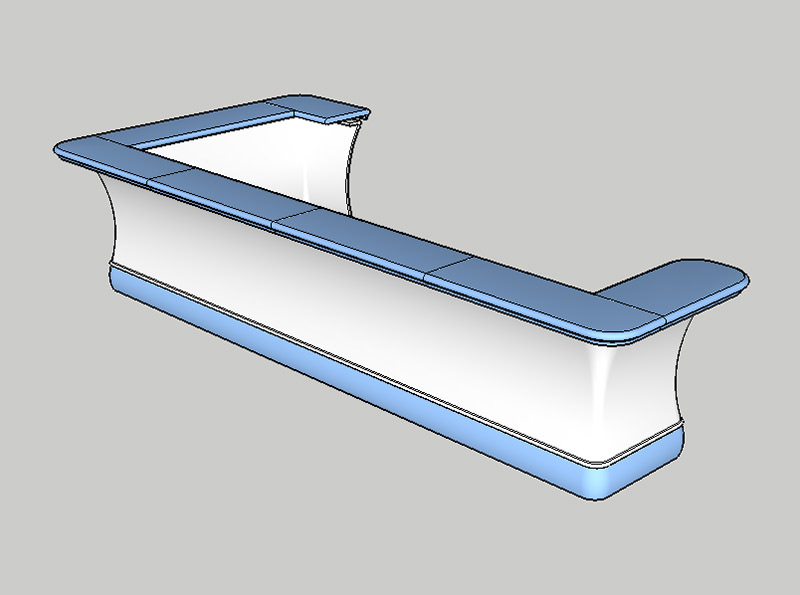 Our new creation, a sculpted daybed, is a made to measure design by Charlotte Juillard. Minimalist and sophisticated, versatile, glamorous and functional (maybe the most glamorous of furnishing elements), for sure, the Isadora daybed is a very intriguing piece of furniture in a contemporary design project, that boasts solid cornerstones and an infinite number of thematic interpretations, with a series of details that make each piece unique. With its strictly horizontal line and its adaptability, both as a central element in the living space and placed at an angle, the living daybed opens up all sorts of furniture layouts, while its ambivalence of sofa and extra spot for guests to sleep, makes the dormeuse a precious piece of furniture, evoking the opportunity to relax and unwind in your home, alone or with your guests. All those features make the ‘day bed’ the perfect piece of furniture for introducing the minimalist elegance of gray volcanic stone. Therefore, the idea of a solid lava stone daybed has made us enthusiastic from the beginning to collaborate with Charlotte Juillard. The project by Charlotte Juillard associates the solid lava stone structure, extracted from the quarries around Vesuvius, and handcrafted by the workers of Ranieri Lava Stone, with the excellence of the Rubelli velvet craftsmanship for the seat and the cushion, while the support is forged in steel with a total black gloss finish. Conceiving an object with essential lines, Juillard intends to exalt the preciousness of textures and colors: in fact, the material quality of the volcanic stone is intensely evoked by associating it with a feminine sensibility to the textures and colors of the textile. This stylish piece of furniture beautifully represents our idea of luxury craftsmanship, custom design, handmade and Made in Italy, where the knowledge of the artisans of stone, handed down for centuries on our territory, finds new light and expression in a piece of overwhelmingly contemporary design. Corviglia, the birthplace of winter tourism, also shines as a culinary destination, thanks to gastronomy pioneer Hartly Mathis who first welcomed gourmets and VIPs from around the world affirming the “Mountain Fine Dining” experience, and built his gastro-imperial spa in the mountain station of the Corviglia funicular. After 50 years, the renamed restaurant “White Marmot Restaurant & Bar” is the newly designed exclusive location where you can dine and view St. Moritz from the ski slopes of Corviglia. 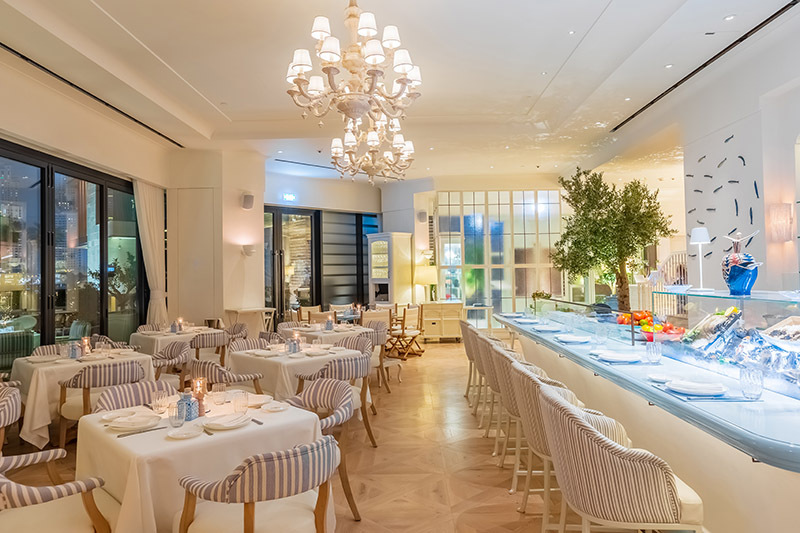 The restaurant, masterfully designed by Atelier Zürich, combines modern style, sports and elegant cuisine for a pleasing gastronomic blend on Corviglia that incorporates tradition and contemporary impulses. The architects’ goal has been to meet the expectations and needs of both sportive tourists and people from the village equally. With Atelier Zürich’s words…<<Glazed lava stone had fascinated us for a while and this project is the first time we had actually used this material. The initial inspiration for the bar was an ice bar and glazed lava stone turned out to be the perfect choice to create that icy look. Another big advantage was the durability of lava stone, which was key in a place, where people also enter in ski boots. The inspiring idea of an icebar with a vast artwork of an oversized marmot cast in artificial resin – the “white marmot” – drove the architects to entrust Ranieri Lava Stone with the task of creating a lava stone bar counter, made to measure and glazed with a custom color. The U-shaped central counter involved the design of 80 custom designed lava stone pieces, with a process of carving and glazing dedicated to each selected lava stone slab, destined to become every single piece of the bar counter. Our artisans are skilled to work the single piece of stone and the lava rock is ideal to be forged in 3D forms as it guarantees the technical specifications for mechanical and manual carving and for durability of the application. It should also be noted that the glazing process increases the durability of the surfaces, and this is a key element for a bar counter in a public place, and it is even more for a restaurant of a ski resort, where customers wearing ski boots. The design of this u-shaped bar was quite a challenge to build because it was composed out of many pieces, which we had to transport at high altitude, at 2500 mt. At first, we planned a road transport by truck, but due to a heavy snowfall, we then preferred a high-altitude transport by helicopter. We like to share a video about the helicopter transport of the bar counter (see more: here you can see the video of the helicopter transport). We have an accurate insight into the most challenging projects through all stages of the custom design process to the on-site installation, which can be executed in arduous workplaces, as in the current case, where the coordination between our ground staff and the pilots has been a key point: taking care of every single piece, working side by side with the architects’ team. The on-site installation has been perfectly executed, including connections for electrical, water, and drains. <<Glazed lava stone had fascinated us for a while and this project is the first time we had actually used this material. The initial inspiration for the bar was an ice bar and glazed lava stone turned out to be the perfect choice to create that icy look. Ranieri Lava Stone partnered for the refurbishment of 20 Old Bailey, a modern workspace exceptionally designed by BuckleyGrayYeoman within London’s vibrant and dynamic heart. Lava stone surfaces confirm all the quality standards and requirements for Cat A fit out buildings and reveal its elective beauty in a contemporary workspace concept. Our Company has been appointed to provide the lava stone flooring tiles for the newly refurbished 20 Old Bailey, a highly contemporary office space exceptionally designed by BuckleyGrayYeoman, the London based award-winning architecture and design firm, encharged by Blackstone for the extensive structural alterations and internal remodeling of this £300m flagship building. We have been delighted to partner with our local contractor, Chiltern Contracts, for this refurbishment project of BuckleyGrayYeoman, rated as one of the top 50 architects in the UK, and this partnership has reinforced our belief that lava stone has a strong application potential on the high-quality contemporary design projects, for both residential and commercial market. The major refurbishment included re-configuration of core areas, extensions works and the complex replacement of services, finishes, and fittings across six floors. Our lava stone XXL tiles, gray pure elegant natural surfaces, 100% volcanic stone tiles, are the distinctive gray note running through the floors of the 240,000 sq ft immaculate workspace. BuckleyGrayYeoman architects selected lava stone surfaces as a floor coating destined to a high-specification Cat A fit out office accommodation. Our natural stone surfaces, carefully selected at the quarry through material testing and quality control, comply with slip and skid resistance criteria in both dry and wet conditions. Ranieri Lava Stone is able to provide a fully compliant slip and skid testing service on the lava stone supplied, therefore lava stone confirms being extremely efficient for both interior and exterior pavings, which can be heavily trafficked. As for 20 Old Bailey building: the redevelopment has introduced a new internal ‘street’ at ground level which links Old Bailey to Fleet Place, where the natural XXL lava stone tiles have been applied for the paving. Moreover, the gray natural stone surfaces reveal aesthetic and perceptive characteristics which are precious for a contemporary workplace concept. The modern workspace strategic priority is to bring together employees and to fully utilize the synergies, sharing a common culture and working together as one team. The wide-ranging internal remodeling project has been fully conceived to achieve this goal. 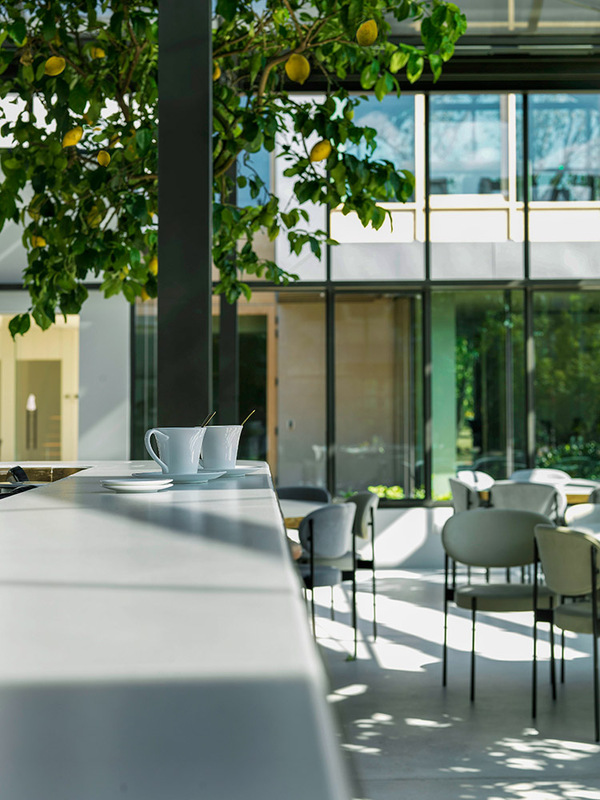 Being productive, connected, innovative: well-being is at the basis of the contemporary workplace, and being welcomed by natural materials and contexts facilitates concentration and quiet conversation in shared workspaces and in collaborative environments. This is part of the preciousness and beauty of our lava surfaces. Ideal for outside paving, swimming pools, and outdoor furniture, lava stone surfaces stand out for their extreme performance. Durability, non-porosity, and heat-accumulation capacity make lava stone ideal as a coating surface for outdoor swimming-pool flooring. The close-up of a lava stone tile makes clear the benefits of enameled lava as a coating surface for swimming-pool flooring. The enamel layer the ceramic is layered and finally covered by a crystal coating and then fired. Thus, the enamel is an impervious layer of a vitreous substance which has been fused to a stone body through firing. Through glazing, the lava stone surface becomes unaffected by UVs and is frost-resistant, almost indestructible, and waterproof. Non-slip glazes can be applied to lava tiles used for staircases and poolsides. The engobe layer is the layer underneath the enamel, a clay that closes micro holes or imperfections of the stone. The stone layer the volcanic stone is ideal for any outdoor swimming- pool coatings, thanks to its heat-accumulation capacity. Wellness and Spa design requires top-of-the-line features, and long-lasting, luxury finishes. We focus all our expertise on achieving high-end finishes for the home bathroom, Wellness & Spa projects. Below we show some of our most compelling lava stone projects. The project of a bathroom fully conceived in lava stone enhances the true and pure structural and aesthetic qualities of the stone, revealed through the blending of Gray and Brown shades. 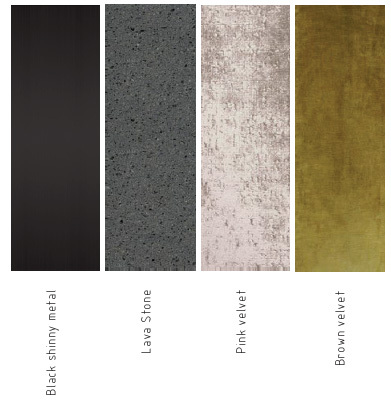 The gray lava collection is used for flooring and claddings, where the alternate use of rough and honed lava tiles gives a smooth gray tesselation, while the brown lava has been used for the washbasins and bathtub. For this home wellness project, the twin washbasins and bathtub were carved from single blocks of lava, machined and hand chiseled. contrasting against the smoothness of the ordinary”. The further home wellness project of a gray lava stone bathroom, plays on the associations of different finishes, for a tactile and visual distinctive effect. The properties of lava stone and the benefits of using it for a Wellness project are considerable. First, lava is a natural stone, it is 100% recyclable. Its aesthetic virtues reflect its intense organic quality, its association with nature, as well as the graphics and chromatic movement of volcanic rock. Natural lava surfaces bring a deep, pure natural touch to wellness Spas.